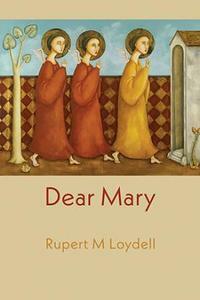 In Dear Mary poet and painter Rupert Loydell writes about art and life and how they intersect. Fascinated by both renaissance and contemporary painting, he re-invents moments of annunciation in today's world, and revels in the colours and sunshine of Italy. This is a world of wonder and surprise, where aliens abduct the Virgin Mary, 20th century rock singers find themselves collaged together and singing about her, infinite greys (and grays) blur together between other greys, Francis Bacon paints angels, and even the weather forecast predicts the future. Above all else, this is a book which celebrates language and art, and explores how we navigate the world around us, seen and unseen; how we might wonder, explain, and begin to understand.